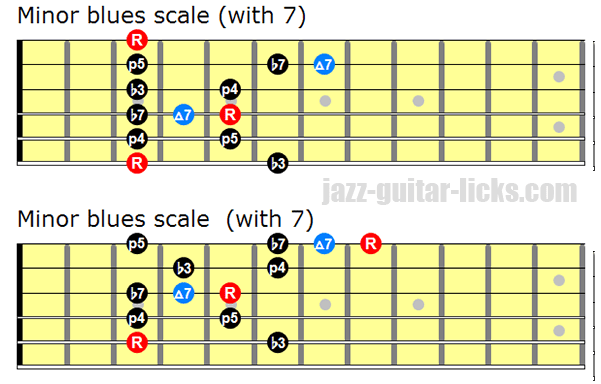 How to build a minor blue scale with a major seventh? You see in the neck diagram below the two blue notes (b5 and 7). 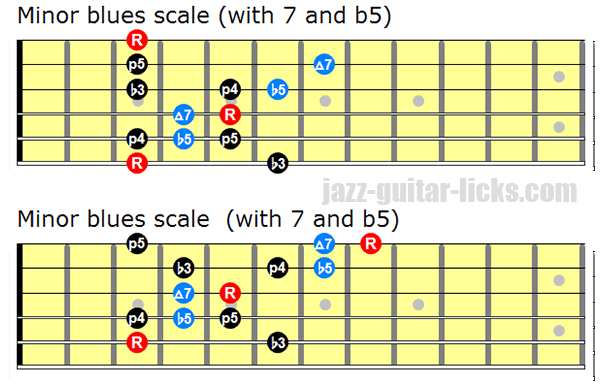 The following shape show you how to play the minor blues scale with a major seventh onto the guitar neck.